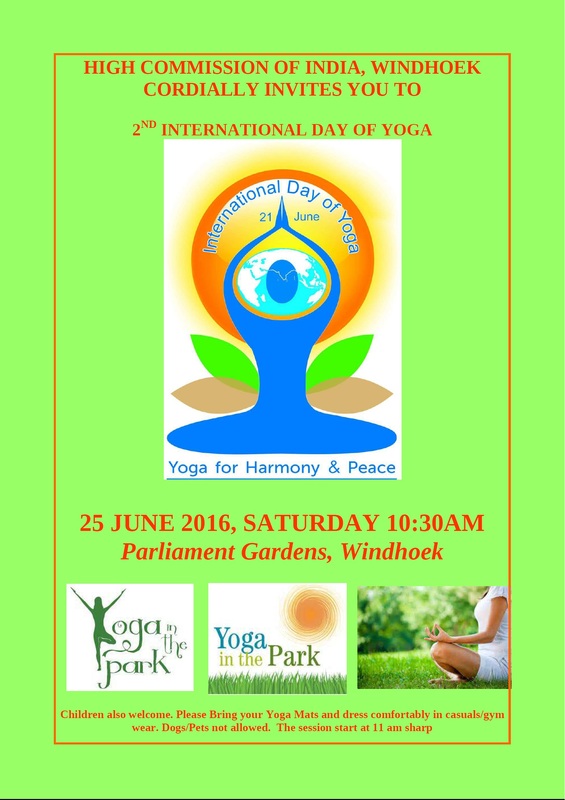 Celebration of Second International Day of Yoga at Parliament Garden, Windhoek on Saturday 25 June 2016. 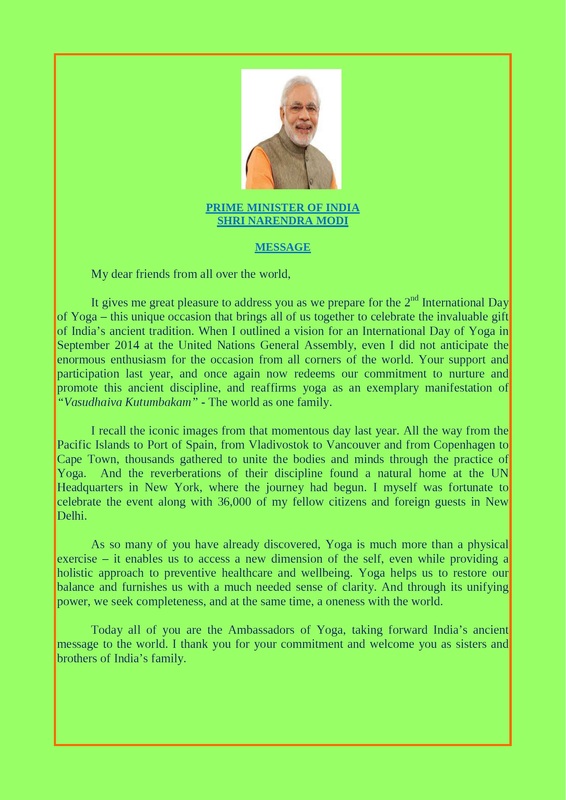 Everybody is invited. Entry free of charge. Please reach by 1030 hrs.